Mix low-fat Greek Yoghurt with Vanilla Whey Protein and Bourbon Vanilla. Wash the fresh strawberries and cut them into halves. 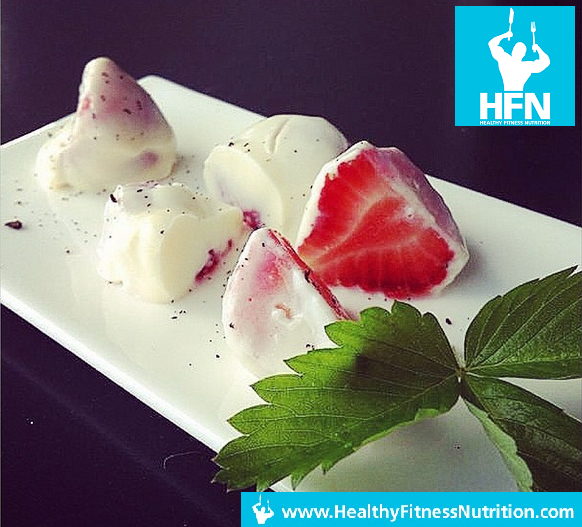 Mix the halves with the Vanilla Protein Creme and put them on a plate. Put it into the freezer for about 30 minutes – finished! This is a very easy and delicious protein dessert. One protein strawberry contains 5g of protein and only 0.4g of fat. Enjoy and stay fit!